What would you include in your own “little library”? In recent years, little libraries of all shapes and sizes have popped up. They could be found on street corners and sidewalks across the United States. These were often built by community members. They were hoping to share their book collection with their neighbors. These "Little Free Libraries" are like a modern-day iteration of the classic bookmobile. Minneapolis, Minnesota, even hosted the first Little Free Library Festival, where book fans and people with a do-it-yourself streak came together to promote literacy in their communities. For the most part, Little Free Libraries have more in common with book-sharing shelves in hostels, local laundromats, coffee shops and other public spaces than the traditional public library. Based on a philosophy of "take a book, leave a book," these little libraries can take many forms, from birdhouse-like wooden structures to repurposed newspaper vending machines, Robert Wirsing writes for the Bronx Times. The Little Free Library organization began when a resident of Hudson, Wisconsin, named Todd Bol built a little model of a one-room schoolhouse, filled it with books and installed it in his front yard as a tribute to his late mother in 2009. Together with a local educator named Rick Brooks, the two began installing Little Free Libraries across Wisconsin and sharing the idea with people across the country. 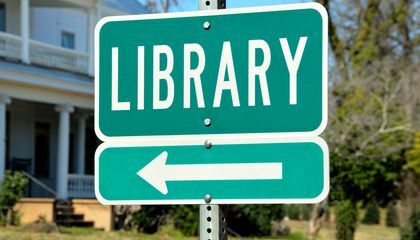 According to their website, by 2011 there were at least 400 free libraries tucked into nooks and crannies of cities across the U.S.
"Something we long for in this digital age is that connection between people," Bol tells Margret Aldrich for Book Riot. "I want to show how Little Free Library is about readers inspiring readers inspiring readers. It goes on and on." While Little Free Libraries might seem like a harmless and innocent means to promote literacy and share books with neighbors, at least a few of the roadside lending libraries have caused minor legal kerfuffles. According to the Los Angeles Times' Michael Schaub, officials in Los Angeles and Shreveport, Louisiana, have told some residents that their homemade libraries violated city codes and that they would have to remove them. In both cases, city officials told the little libraries' caretakers that they were obstructions and they could face fines if the lending libraries weren't removed. Still, for the most part Little Free Libraries have been embraced by their communities. For anyone interested in making their own at home, the organization has posted helpful tips and guides for building and installing the little book lending boxes in their hometowns and neighborhoods. Information can be obtained online at littlefreelibrary.org. In which ways are a “little library” better than a conventional library? The little libraries that had been built are able to share books with people who don't have books which people are able to put in the books that they don't need and the people who don't have books would get the book from the little library. The public libraries would be a good place to get books but a lending library would lend books that the poor would have. The public libraries wouldn't be able to let poor people inside to get books but a lending library is better to lend books to the poor. The lending libraries would be able to let people who can't afford the books would be able to take the book from the lending library. Critical Thinking Question: In which ways are a "little library" better than a conventional library? Answer: I know which ways are a little library better than a conventional library because it can let poor people get the books that they won't be able to afford. A little library is better than a conventional library because little library gives you a free book that you can keep. Little library is also give you a way to get rid of your old books. A little library is better than a conventional library because not every book is on the internet, the quality is not under control, and sources on the internet are hard to identify. It takes less work to get a book in a "little library" than it does in a conventional library. Also in conventional libraries you'll most likely need a card that you'll need to pay for. Little libraries are free. A little library is better than a public library in a couple ways. For instance, say you don't live that close to a public library. There are many little libraries scattered everywhere, and who knows, maybe there's one in your neighborhood! Little libraries also don't have library cards. That means no overdue fees. Someone's family might also not have a lot of money to buy new books, so a little library is a perfect place to exchange an old book for a new one. If you have a book that you don't read a lot, you can exchange it for a new one. 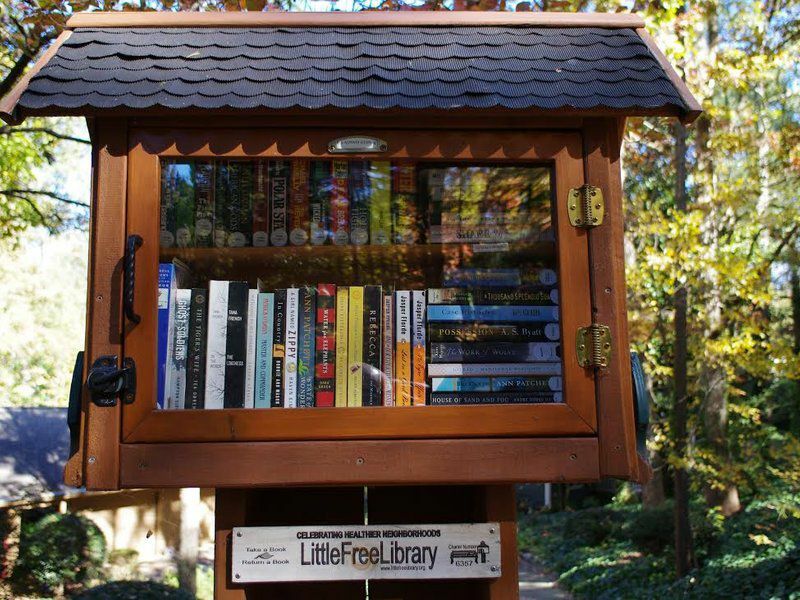 These are a few reasons why little libraries are better than a public library. Someways that the little libraries are better thank conventional library are, they give people books that do not have any money, they welcome all types of people no matter if they are poor or not, the little library is growing across the nation so that even more poor people can have books, and I think that the little library makes a strong community. These are ways that the little library is better than a conventional libraries. It is better because you don't need to drive to the library you can find it all around the state. I think that it's better because while someone is waiting for the bus or something else they can read a book while they wait. And these take less space and more "convenient" to some people. I love this article because it is all about something that I never ever heard about. It's a one-of-a-kind problem in a town that I have never ever heard about. Little Free Libraries are better because they were built to share books with neighboring people who don't have them.